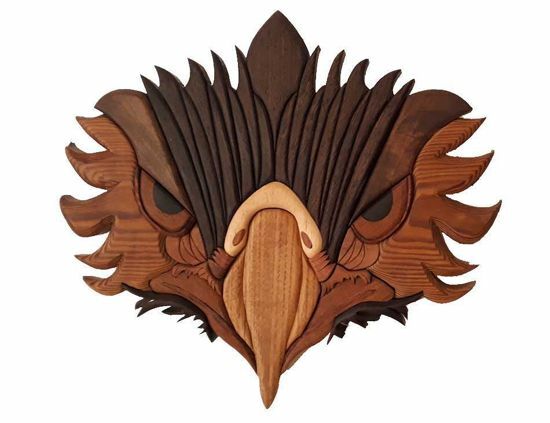 The Eagle is made up of 55 separate pieces of wood. There are ten different types of wood: two kinds of Wenge, two kinds of Walnut, Ebony, Mulberry, Merbau, Kiln-dried Pine, Limba, Ash. They are glued together on an MDF panel.